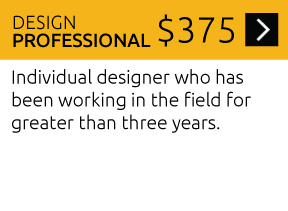 For individuals who practice environmental graphic design as well as graphic design, architecture, industrial design, interior design, landscape architecture, exhibit design, and other forms of visual communication. Join the warmest, friendliest most helpful design community in the world. 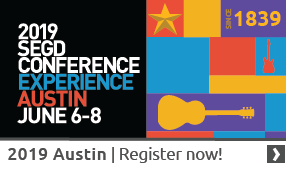 Meet new friends and colleagues, get a job, find clients and do amazing work in collaboration with new partners that you can meet at SEGD's 6 annual events. Gain exposure to SEGD.orgs annual traffic of over 400,000 unique visitors who read over 3,000,000 pages about YOU, your firm and your projects (Its the law, written into our content strategy!) on the website every year. Free 2017 SEGD Annual - All the SEGD Global Design Awards and SEGD Achievement Award winners. One for the coffee table. Immediate access to a network of 2,200 members who can and will answer your project problems immediately on the SEGDTalk Listserv. What standard do I need to meet...? Which fabricator can do this...? What material do I need to specify for...?